Selected works from clients to personal pieces. 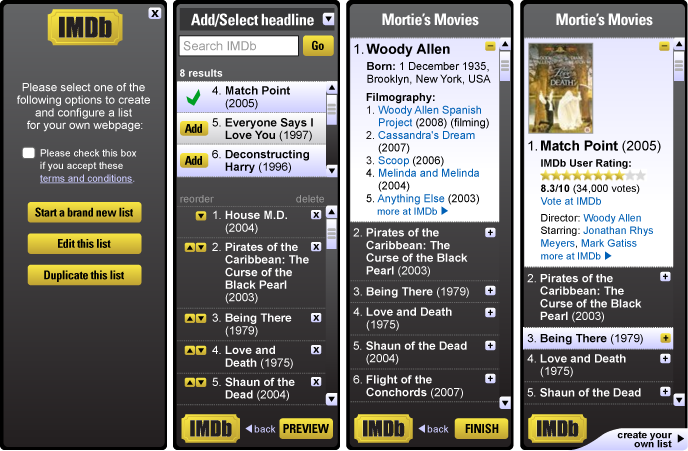 Developed IMDb RIA(Rich Internet Application). The application searches, views, and shares your favorite movies with friends in your social network directly within the application. Site design and branding for Boston based startup, messageSling. 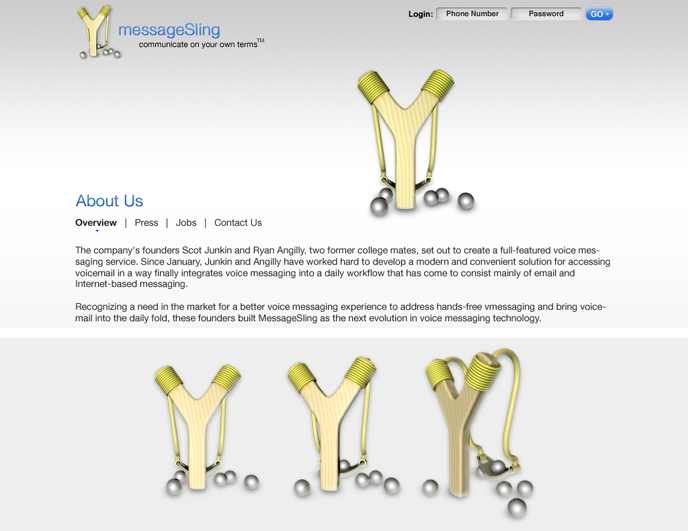 messageSling developed voice messaging and transcription services. Designed and developed ClearChannel's "Stripped" RIA. The application showcased new and well known artist in a live-style video. 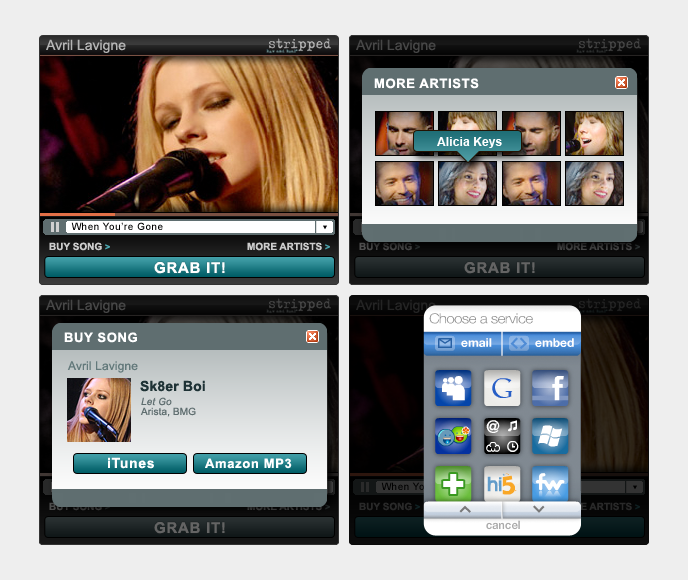 Fans could share the app to their favorite social network profile and purchase songs via iTunes or Amazon. Designed and developed multiple implementations of NFL's RIA (Rich Internet Application). 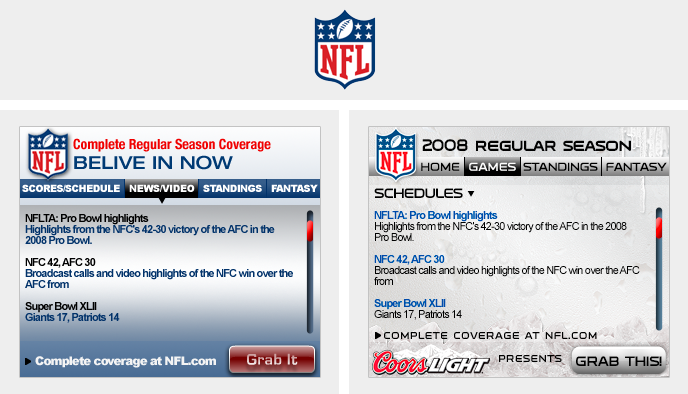 Fans could check on NFL news, game schedules, team standings, and fantasy status. Each fan could share their widget to MySpace, Facebook, and other social network within the application. 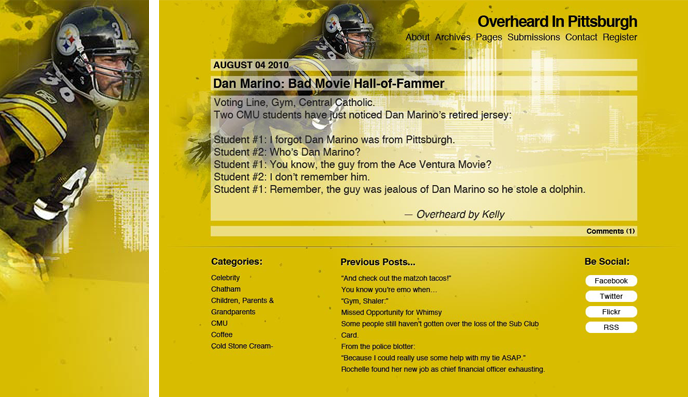 Wordpress theme, design and site development for an "overheard" type site for Pittsburgh. Developed the video player used by Clearspring Technologies' advertising platform. The video player uses IAB standards to deliver video and advertising content. Clearspring's platform is used by companies such as DreamWorks(left), Paramount, and more. 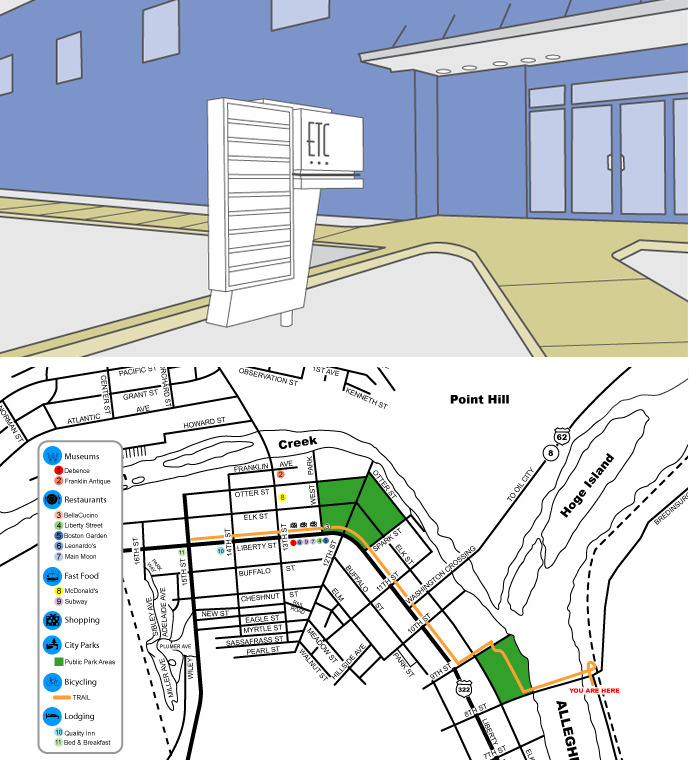 City guide map and brochure for Franklin Industrial & Commercial Development Authority and city of Franklin, PA.
Internal team logo Clearspring Technologies. Microbrewery specializing in trappist style concoctions.